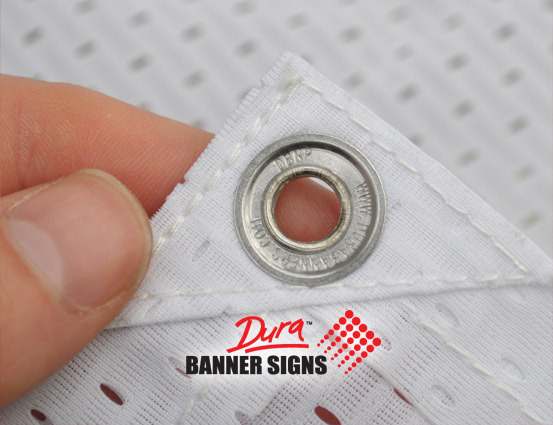 Stylish NO RUST Silver Nickel Plated grommet eyelets & washers are machine punched. 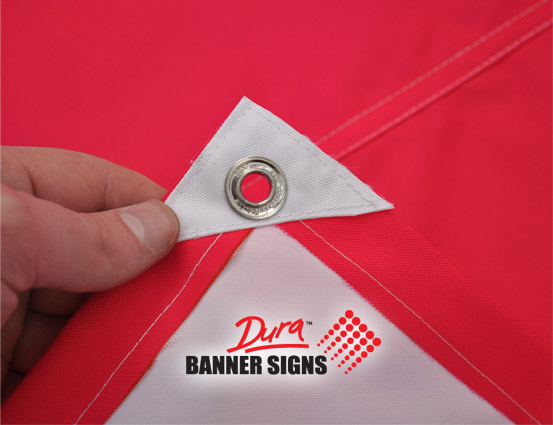 Pneumatically sealed grommet eyelets are automatically placed along the perimeter of your banners and signs to suit your orders preference. #1 Where are the Grommet Eyelets placed? 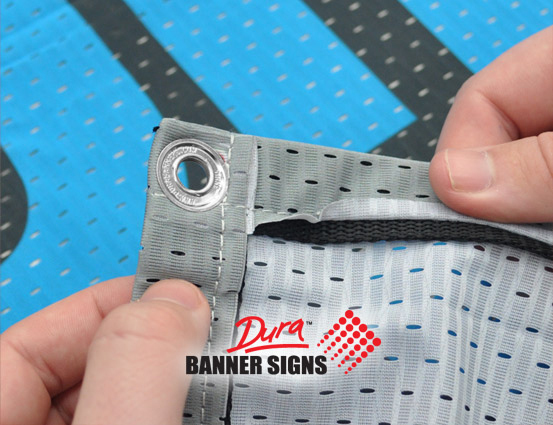 We place the Grommet Eyelets from Top Left to Right, Bottom Left to Right, Top Left to Bottom, Top Right to Bottom. 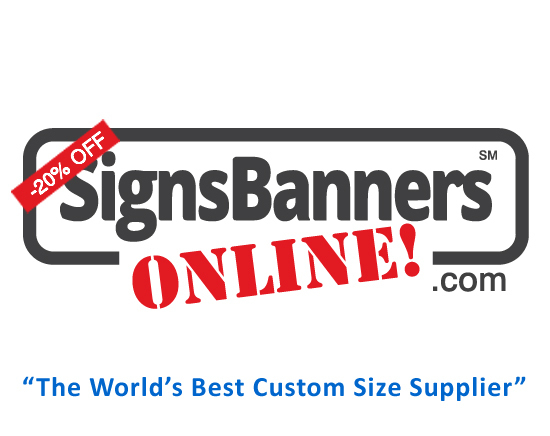 Grommet Eyelet spacing (apart) is chosen at the Price Calculator or Easy Template Maker. 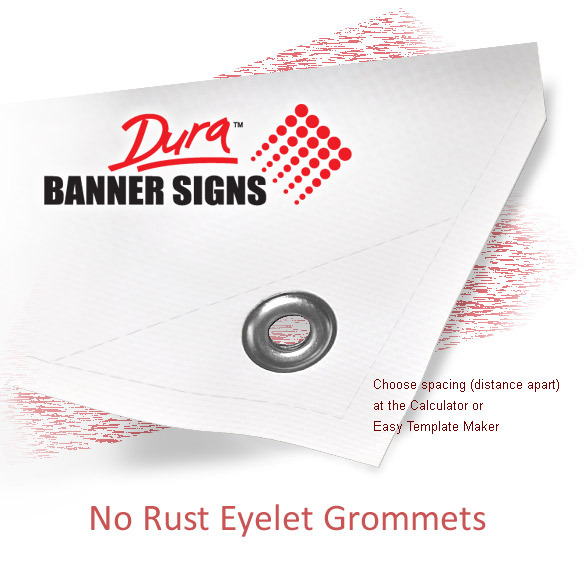 #2 Will the Grommet Eyelet rust? NO. 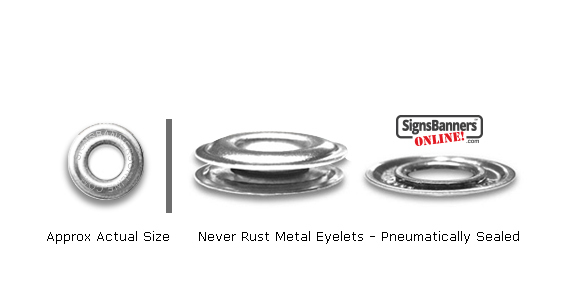 We use Nickel plated brass eyelets which do not rust.